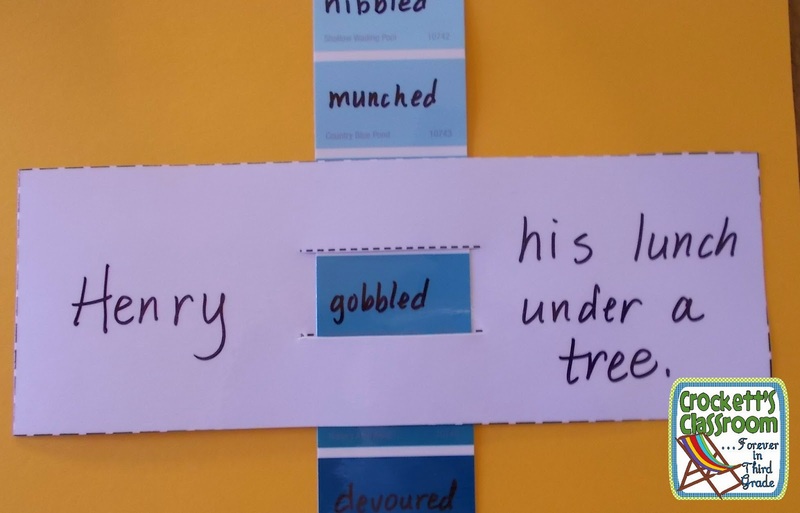 We've all heard of synonyms and antonyms, but what about semantic gradients? In the CCSS they're called shades of meaning, which means the subtle differences between words that have similar meanings. All these words mean hot; sizzling, warm, scorching, steamy. But, they would be used in different situations. One way for students to better understand these gentle differences is to arrange them in order by intensity. Like this. . .
warm, hot, steamy, sizzling, scorching. 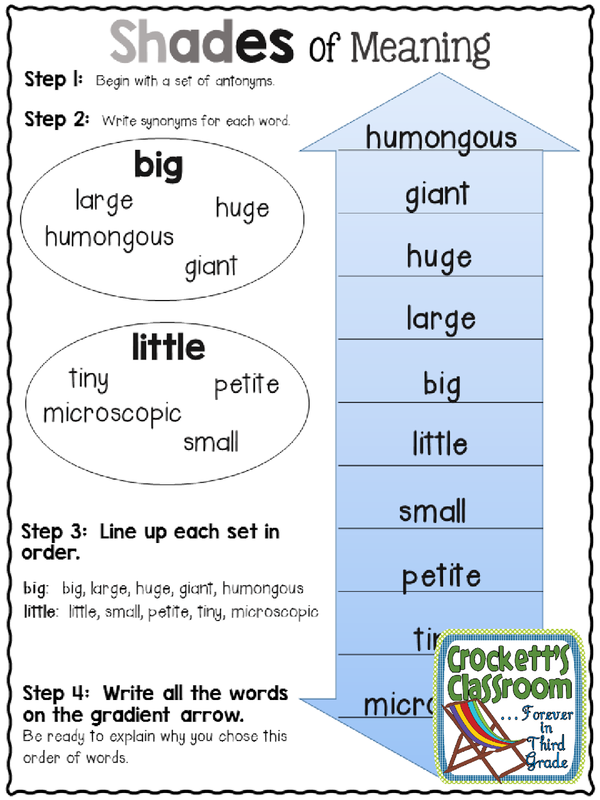 The order may vary, but kids can discuss and defend their arrangement. It leads to great discussions! In this freebie you'll get a PowerPoint slide that shows students how to come up with a list of words and then arrange them in a semantic gradient order. 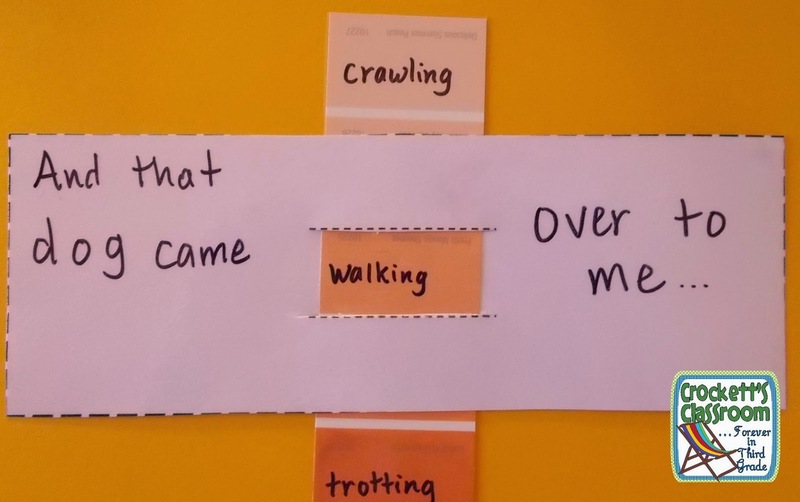 There is also an idea of how to use shades of meaning to help readers and writers.